Goldin grew up in Boston in the 1960s, in what she describes as a revisionist suburban-American culture. She was influenced by the movies, Andy Warhol’s in particular, and would often see two or three a day during her younger years. The candid photograph wasn’t in vogue or even considered to be a fine art object then. And so Goldin’s fascination with capturing the essence of a person’s everyday was a minor revolt—contrary to the perfectly-constructed images so popular at the time. Diane Arbus and Larry Clark are often cited alongside Goldin, but the emotional integrity of her work is unique. The relationships she has with her subjects are central to her process. The people she photographs, she knows intimately: they are her friends, her lovers, and, as she describes, her “tribe.” Her subjects all gaze back into the lens, in the act of being captured by the camera. “The Ballad of Sexual Dependency is the diary I let people read,” Goldin writes. “The diary is my form of control over my life. It allows me to obsessively record every detail. It enables me to remember.” It also represents a cathartic purging. Many of her subjects have passed away from AIDS or drug overdoses. 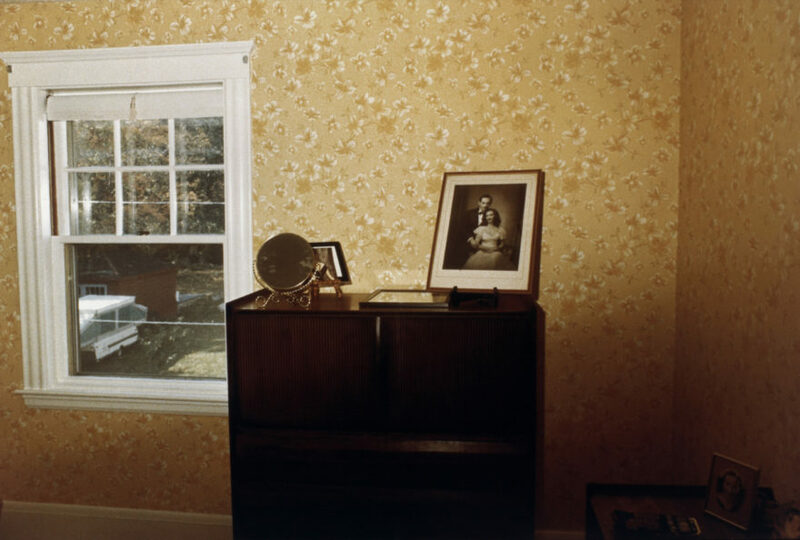 And this underlying melancholic current is, in a way, the driving force in Goldin’s photography. “Nan and Brian in bed, New York City, 1983,” is one such example of Nan’s uncanny talent for capturing these quotidian moments that seem to ripple through time with their emotional impact. Here, she and her partner appear together yet they do not touch; they are distinctly disconnected. His portrait adorns the wall above the bed on which she is lying. In the picture he is in almost the same place she is now, a nod to a different time, a different arrangement in their relationship. Time is one of the elements to which we are all subject and one that Goldin explores elegantly in “The Ballad of Sexual Dependency.” Being subject to it is discomforting; nothing stays the same. Given the The Ballad’s form and narrative structure, it seems to gestate in this same cyclical way, charting a similar course—beginning and ending with a single snapshot before cutting to black.